Doctor Who: Revisiting THE MASSACRE | Warped Factor - Words in the Key of Geek. Matthew Kresal looks back listens to a long lost adventure. For fans, the fact that so much of 1960s Doctor Who is missing is a sad truth. Those of us who love the classic series each have stories that we very much want to see discovered again: Marco Polo, The Evil Of The Daleks, Fury From The Deep and so forth. Yet for me, sitting here in the late summer of 2016, there is one story more than any other missing that I really want to see. It's a story that we have so little left of: The Massacre, aka The Massacre Of Saint Bartholomew's Eve. Doctor Who began in 1963 as a semi-educational science fiction series that was meant to bounce back and forth between the more science fiction heavy stories and the more educational historical stories. By the time The Massacre aired in February 1966, that formula had about run its course. The ratings success of the various Dalek adventures and stories like The Web Planet had all but guaranteed that the historical tales, with their lower ratings and audience appreciation figures, would soon be a thing of the past. Behind the scenes changes with producers and script editors coming and going were also ensuring that, especially with this story where the writer all but took his name off of it due to changes made to get into production. Yet looking (or rather listening), those cracks are hard to see (hear). Script wise, despite what appears to be heavy re-writing done by script editor Donald Tosh, it is arguably the strongest story of the Hartnell era. It doesn't really fit into the historical formula that John Lucarotti himself had established in stories like The Aztecs less than two years earlier, in that it isn't about trying to get back into the TARDIS. What starts as a simple arrival and a brief stopover turns into something else entirely as Peter Purves' Steven Taylor finds himself lost and alone in 1572 Paris in the midst of political and religious turmoil. 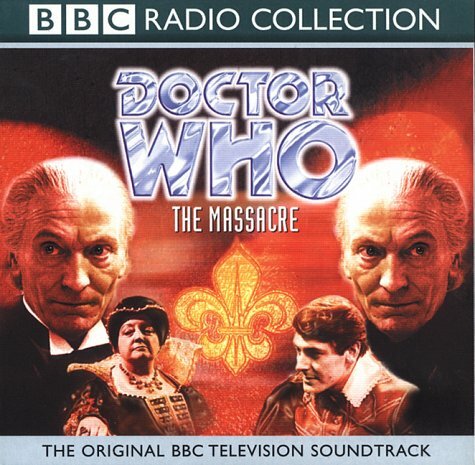 Indeed The Massacre is a story unlike almost any other in the series, both old and new. There's a sense of grim inevitability to it that is rarely found in the series, though Inferno from 1970 comes to mind. Both are stories which see the lead character trapped in a world where they have little hope of escape, facing people who don't believe them, with events eventually leading to a catastrophic outcome. The only difference is that The Massacre finds the companion facing monsters who are all too human. The villains of this story aren't aliens or mutated humans: they're driven by fanaticism and the belief that they are doing the right thing. It's a tale as old as history and one that continues to play out again and again even today. What makes the story even more remarkable is the Doctor isn't really the lead character. That role is handed over to Steven Taylor, who effectively started out as a thick and comic character when first introduced. In this story and the one before it, both character and performer came into their own. Purves is utterly believable as a man lost in time, an “innocent abroad” who wanders into a dangerous situation that he knows little about and that could potentially be fatal at any moment. The story, and Purves' performance, seem to remind us that traveling with the Doctor is a dangerous affair and the Doctor might not always be there to save you. All round, the performances seem pretty solid. Purves might be the lead but he's surrounded by a strong cast. 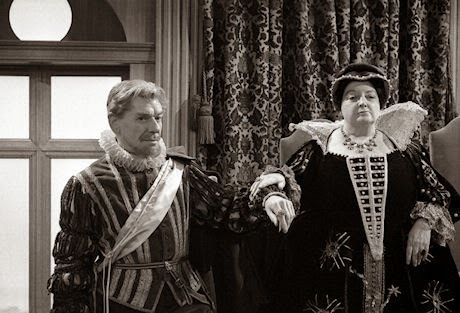 There's William Hartnell playing a duel role as the Doctor in the book-ending episodes and the Abbot of Amboise. 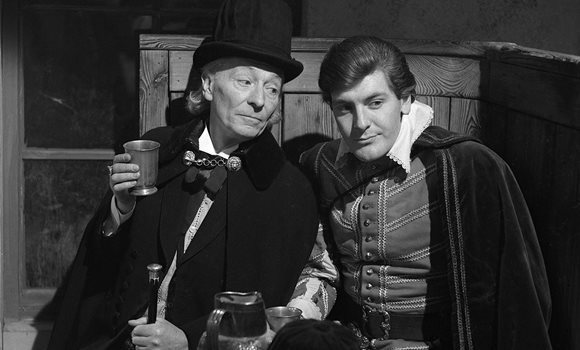 While Hartnell's Abbot isn't as incredibly different a performance as Patrick Troughton's in The Enemy Of The World, there's still a sinister quality to it as it lacks all the charm and mannerisms of the First Doctor. There's none of the giggles, “hmm” or “my boy” to be heard here. We might not be able to see it but with the audio alone there's a notable difference in the performance that makes it all the more painful that we can't see it. Indeed, there's a remarkable scene between the two in the final episode, lasting the better part of nine minutes. When reunited in the TARDIS the Doctor relates the events that unfolded after they left and Steven effectively gives him a verbal dressing down for leaving a young woman he's befriended behind to face potential death in the titular massacre. It is one of the most remarkable scenes in all of Doctor Who. It pre-echoes the scene between the Eleventh Doctor and Rory in The Girl Who Waited nearly a half-century later when that Doctor forces Rory to decide which Amy he will save and Rory accuses him of making him be the Doctor. 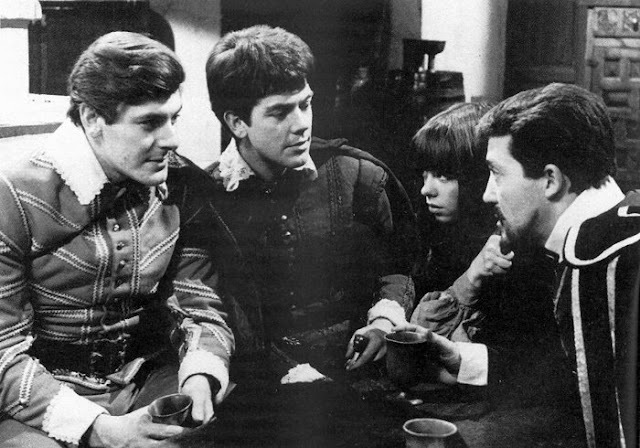 In The Massacre, Steven and the Doctor are both forced to confront the consequences of their adventures with Steven deciding he's had enough. It could have been a fine exit scene for Steven, especially followed by the soliloquy that Hartnell beautifully delivers after it. Instead, it is undermined somewhat by what feels like a tacked on happy ending that introduces a new companion and reunites the Doctor and Steven after a brief parting. Despite that, it remains a remarkable scene and a rare one. Then there's the supporting cast which is almost a Who's Who of Britain's top character talent of the time. There's Andre Morrel, perhaps the definitive screen version of Nigel Kneale's Professor Bernard Quatermass, playing Marshal Tavannes. He brings a sense of authority and respect to the role, never coming across as an outright villain instead portraying the sense of someone who is respectable but somehow still sinister. There's Leonard Sachs as Admiral de Coligny who is the opposite of Tavannes: a respectable man seeking to do the right thing and who will be at the heart of the tragedy that will ultimately unfold. There's also strong supporting performances from Eric Thompson, Joan Young and Annette Robertson, with the latter becoming the emotional focal point on which the lengthy and moving final scene of the story revolves around. Looking back on it, The Massacre is admittedly a hard story to judge. It's a historical tale which means that a lot of the story's appeal, at least on a visual level, would be its sets and costumes. Time in this regard has not been kind as all four episodes have been lost to us. Nor do we have telesnaps or a wealth of behind the scenes images as is the case with stories like Marco Polo. We have little to judge the visuals by or to reconstruct it from, something that makes the efforts of groups like Loose Cannon all the more remarkable. Perhaps that lets us give it qualities it never had, but let's not forget that costume drama has always been a forte of the BBC. Paddy Russell who directed this has also been good at getting strong performances from her actors and the stellar cast assembled here seems likely to have delivered just that. Maybe one day we'll know for certain. Whatever the case, in many respects this was the last great historical Doctor Who story. There would be a few others before The Highlanders saw out the sub-genre that would only be resurrected with the proliferation of spin-off media in the Wilderness Years, that much is true. Yet none would take themselves as seriously or bring forth the kind of acting talent that The Massacre would. The Massacre and its four episodes marked the end of an era for the series and the historical stories of its early years. Something that makes it even more of a shame that we can't watch it today and see what, I suspect, would have been a glorious costume drama.